Planning a vacation can be stressful, especially one that is intended to be a romantic getaway. 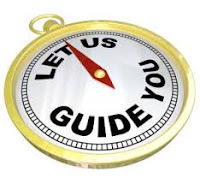 Rather than searching everywhere and listening to everyone’s conflicting opinions, why not trust the vacation experts, our timeshare exit team. 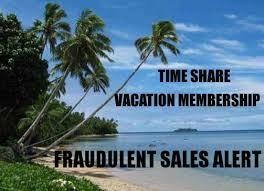 When people think of our timeshare exit team, they think about timeshare cancellation and not usually dream vacations. While our primary job is to help our customers get rid of their timeshares, we end up becoming default vacation experts during the process. You see, many of our customers who are fed up and wondering how to get out of a timeshare, are doing so because they are unhappy with their vacation options. They dream of doing something different but are stuck with their timeshare options. During the timeshare cancellation process, we talk with many customers who dream of going on different vacations than their timeshare allows. As these conversations progress, our timeshare exit team becomes default experts on what some of the most desirable and best vacations are. If you and your significant other are looking to plan a romantic getaway, here are a few of the best types of vacations for romance and re-connecting. The Beach: There is something about the ocean that is super romantic and screams couple’s getaway. Whether you want to stay inside the United States at a resort in San Diego or Hilton Head, or are feeling more adventurous and want to head to the white sandy beaches of the Dominican Republic, the beach is a great romantic vacation. You can spend your days in the sun sipping on a drink and nights dancing, or eating a romantic dinner, or alone in your room. All-Inclusive Resorts: All-Inclusive resorts are a very popular destination for couples. The main appeal is that you don’t have to leave the resort if you don’t want to. With onsite gourmet restaurants, bars, and even nightlife, everything you need is a short walk away from your hotel room. Most resorts are also quite luxurious, and you don’t have to worry about spending a ton of money on extras because it is all included in your vacation package. Ski Resorts: Ski resorts are a great option for the active couple. During the day you can hit the slopes and at night you can curl up by the fire and cuddle with some hot chocolate. If skiing isn’t your cup of tea, you can also get great deals by going during the off season and explore what the area has to offer. Certain locations like Big Bear Lake in California are basically half price during the summer and boast many non-snow activities. These are just a few of the destinations people dream of going to when they call our timeshare exit team looking for information on how to get out of a timeshare. Often they think that getting rid of their timeshare is a pipe dream, and they will be stuck with a mediocre vacation for the duration of their contract. This is simply not true. We help make these vacation dreams a reality by helping our customers get rid of their timeshare. If you own a timeshare that constrains your vacation options, there is help available. No one should have to spend their vacation time and money on an experience that is mediocre. Here at Timeshare Cancel Center we know timeshare cancellation, and we can help you figure out how to get out of a timeshare. Our timeshare exit experts focus on timeshare cancellation. We don’t do timeshare sales or other negotiations. Our only business is timeshare cancellation. If you are stuck in a timeshare that you no longer want or can no longer afford, call our timeshare exit team today. We are here twenty-four hours a day, seven days a week, three hundred and sixty-five days a year. We are here for you when you need us, and we can help you get rid of your timeshare. If it is time to kick your timeshare to the curb, let us write your resort authorized cancellation letter that is guaranteed to get you out of your timeshare. We know timeshare cancellation, and are standing by waiting to help you today!